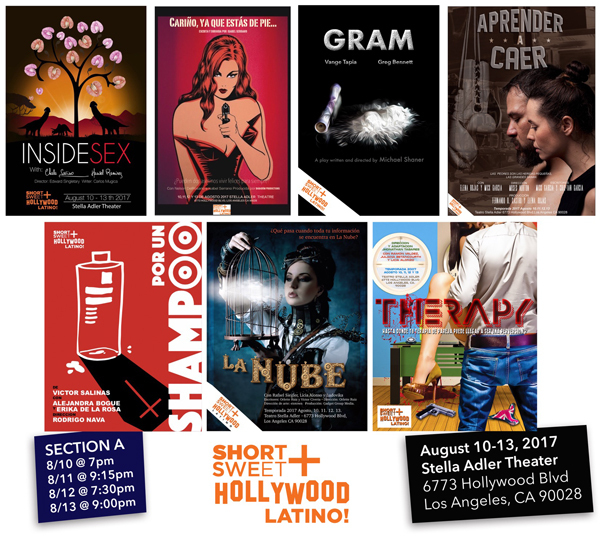 Short+Sweet, the biggest, short-play festival in the world will present its first Short+Sweet LATINO! 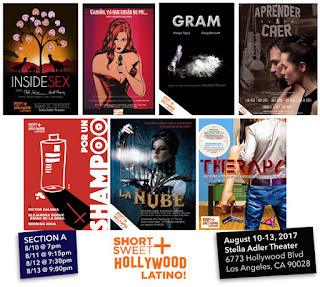 edition as part of the Short+Sweet Hollywood 2017 season on August 10-13 at the Stella Adler Theater (6773 Hollywood Blvd, Los Angeles, CA 90028), with Bruno Bichir as its godfather. 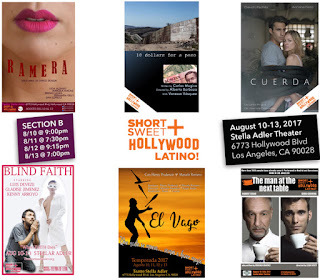 The main goal for Short+Sweeet LATINO is to provide a much-needed forum for expression for Latino talent, including Hansel Ramirez, Elena Rojas, Fernanda Kelly, Orlette Ruiz among many other film, TV and theater actors, writers and directors. 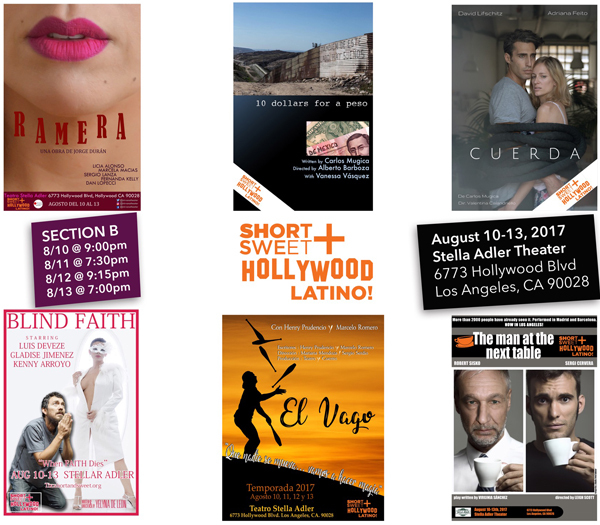 “Short+Sweet LATINO is fantastic, because it is the first short-play Latino festival being presented in L.A, a culturally-rich and talent-filled city. 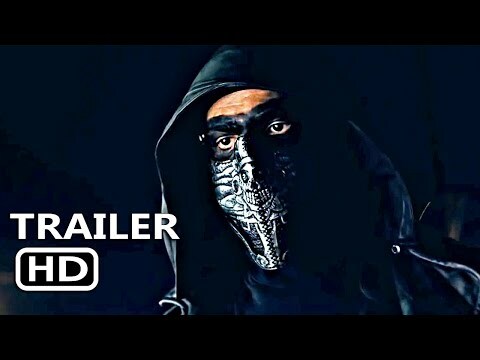 It will provide a forum for Latino expression and a space where all can melt together, while building a sense of belonging” says Festival Director, Tanya Mordacci.